In recent months, there’s been an unmistakable trend amongst college professors who dare to express their political views and opinions. 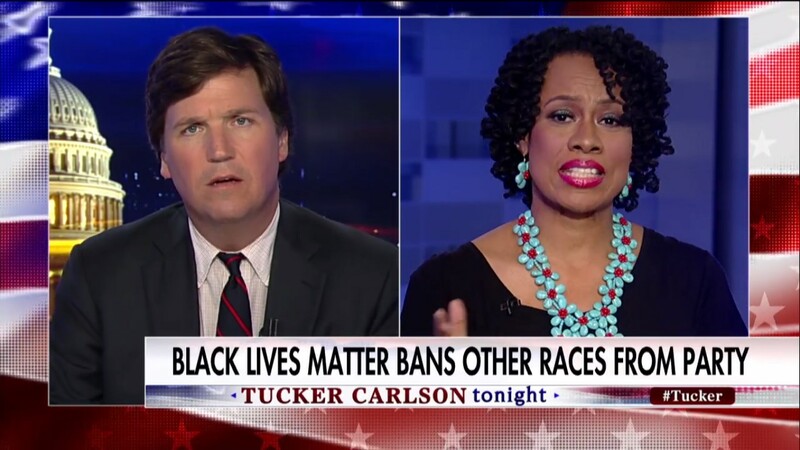 Professor Lisa Durden was fired from Essex County College because of controversial remarks she made on June 6th as a guest on the Fox news program, The Tucker Carlson Show. She was invited on the show to discuss her views about a black only Memorial Day event sponsored by a Black Lives Matter chapter, The Black Youth Project 100. The show host, Tucker Carlson, took issue with Ms. Durden when she expressed her support for the event as the two engaged in a heated exchange on the air. But when taking a closer look at the actions taken by the College, their actions do appear questionable and contradictory when there’s another line of facts to consider. There’s the matter of her affiliation to Essex County College that was not displayed during the program because she was identified as a political commentator. Mr. Munroe even admitted as much in his statement when he said that her comments "...was in no way claiming to represent the views and beliefs of the College, and does not represent the College..." But he went on to say: "The College affirms its right to select employees who represent the institution appropriately and are aligned with our mission,” which clearly applied to Ms. Durden just a few months back when she was hired in January. In fact, two months after came on board, she was a panelist in the school’s annual conference, ironically under the theme: “Radical Humanities:The Radical Tradition in the Humanities”. Ms. Durden appeared on the “Radical Approaches to Women and Film” panel where her topic of discussion was Women in Media. 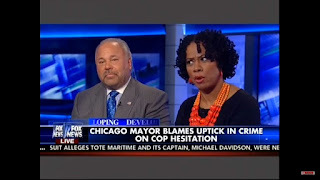 But before coming to Essex, she was a frequent guest on Fox News shows as the resident supporter for Black Lives Matter and other topics related to race. 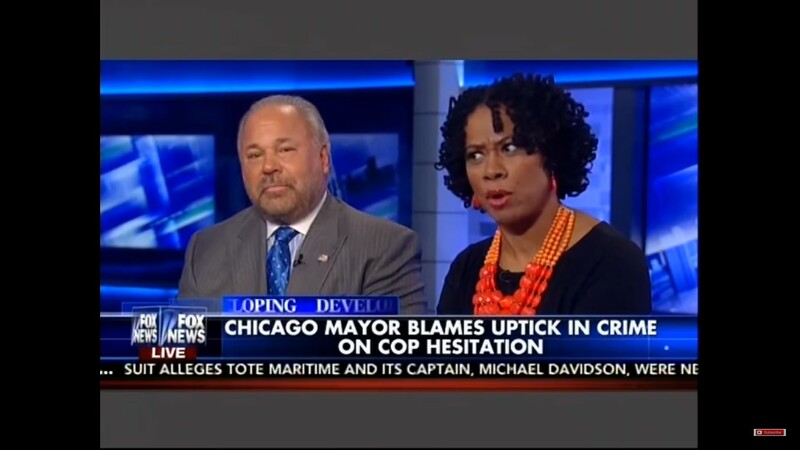 She participated on a Black Lives Matter panel, debated pro-police supporters such as Mark Furhman and Bo Dietl, provided biting commentary about Dallas police officers being shot, and she chimed in on the resignation of the University of Missouri President after racism emerged there. Meanwhile Ms. Durden has taken her case to the court of public opinion via interviews and social media. Her supporters have held rallies and press conferences as well as started an online petition with 2460 signatures. Even conservative voices have joined the chorus of supporters for Durden and her reinstatement. Ms. Durden joins a long line of professors who have felt the whip of retribution - such as Professor's Keeanga Yamatta-Taylor (Princeton University), Johnny Eric Williams (Trinity College), George Ciccariello-Maher (Drexel University), Katherine Dettwyler (Delaware University), Tommy Curry (Texas A&M), and Lars Maischak (California State University) all have suffered in one way or another because they dared to express their political views. Discussion Question: In light of these facts, what are your thoughts about this case? About professors expressing their political views? Should the Essex County College reinstate Professor Durden? What can be done to ensure the freedom of speech and academic freedom for college professors?